This is a platform for poets and writers to share their literary works. We are geared towards publishing outstanding and thought-provoking work of arts. No barriers, we receive entries from different parts of the world. Every writer wants an audience and that is why we are here. 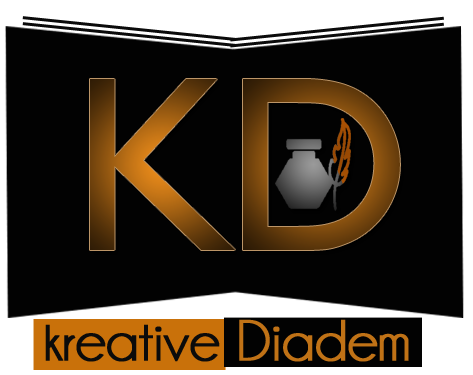 Kreative Diadem is committed to celebrating creativity in writers and poets who give selflessly to add beauty to our world. This is done via interviews with award-winning literary giants who are willing to help the emerging generation of writers and poets. In a nutshell, we want to inform, educate, entertain and inspire the world through creative works of literature. Beautiful poems make words look more than letters. We love to see poems that provoke great thoughts and stoke powerful emotions. If you have one of such poems, we can create a space for it in our online library. Our communities are lifeless without stories. At the center of strong communities lies engaging stories that touch the heart. If you are the king of suspense or the queen of thrillers, we have got a room for you. From time to time, we host award-winning poets and writers in educative conversations that will leave you inspired. These interviews will spur you on to do magnificent things with your life. To create an engaging platform for poets, writers, and storytellers. To enhance the visibility of creators of beautiful works of art. To craft a treasure chest of resources that can improve the productivity of writers, poets, authors, and storytellers. Receive submissions of literary works all-year round. Publish artistic poems and brilliant short stories weekly. Publish book reviews and essays concerning works of literature. Occasionally share tips, pieces of advice and resources that can assist writers, poets, authors, and storytellers. Publish educative interviews with award-winning poets, writers, and authors. Organize an annual creative writing contest for young Nigerian writers and poets.